The shift from bars to bites and bark in the confectionary space is becoming more frequent, and now another classic candy maker is joining the fray. 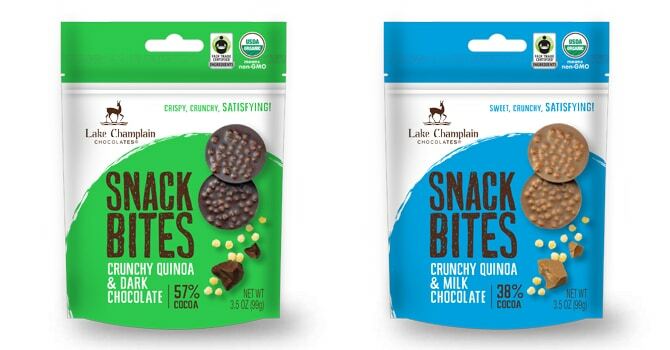 This month 35-year-old Lake Champlain Chocolates announced it would be launching Snack Bites — a line of chocolate disks available in resealable pouches. The line, which debuted at the Fancy Food Show, consists of milk and dark chocolate disks with quinoa inclusions. The MSRP for each 3.5 oz. package is $6.99. 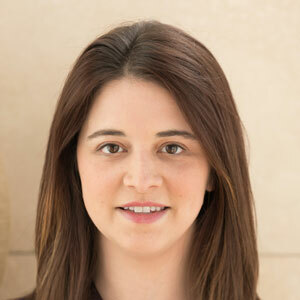 The company plans to release seasonal variations for the fall and winter holidays. Lake Champlain now produces 1 million pounds of chocolate confections every year, with products sold in over 2,000 retailers nationwide. Snacking is a new focus for the brand, as consumers are focused on portion control and portability, noted Lake Champlain’s president, Eric Lampman. The company has invested in production recently, and in December unveiled another 15,000 square feet of production in its Burlington, VT facility. The new space doubles the company’s production space. The company now has a dedicated molding line for its bars, and its other machinery will be devoted to new products. The family knew the company needed the facility for a while, Lampman said, but had to wait for the economics to work for the privately held business. Other key changes in the brand’s product lines also took priority over extending the platform: 65 percent of the company’s products are now certified organic, with additional SKUs using certified non-GMO ingredients. Now with the right ingredients and production space, Lampman said the industry can expect to see more products from Lake Champlain. However, the company doesn’t plan to go too far afield. Lake Champlain Chocolate has also evolved since the 1980s, noted Lampman, the son of founder Jim Lampman. Initially, the focus was on specialty gifting, with truffles hand-selected from department store glass cases. Later, the company started making less expensive gift sets and eventually candy bars.